Posted on April 16, 2018 at 8:11 pm. The objective of the GeoStar Top Job Competition is to highlight and recognize the incredible talent, creativity and imagination that exists in geothermal system designers and installers. An additional aim is to communicate to those outside the industry the variety of ways that geothermal heat pump technology can be applied. 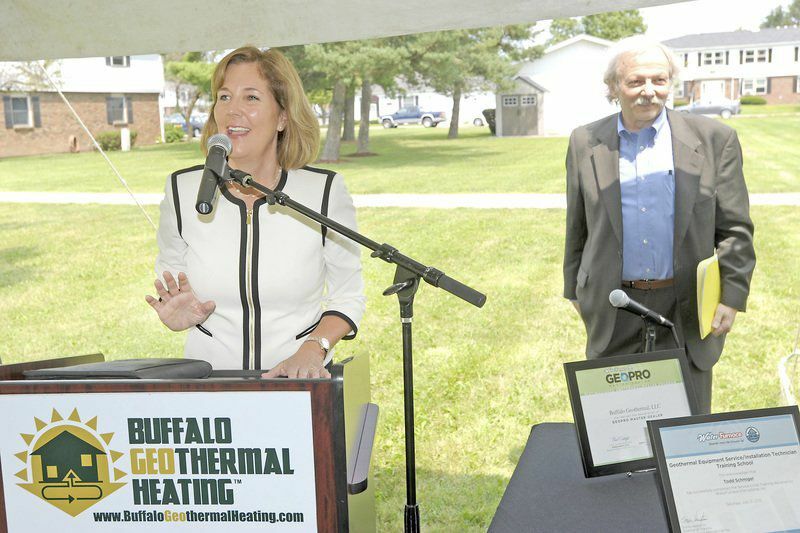 Our job switched 72 low-income apartments in Western New York from electric baseboard heating to 100% geothermal heating, cooling and domestic hot water using shared closed loop fields. Read more. “The capstone of the two-day event continues to be the “Top-Job” competition. Among the entries included the impressive St. Patrick’s Cathedral geothermal conversion in Manhattan and the William F. Buck Middle School conversion from the public city water mains in Valley Stream, New York.